Preti attorney Sig Schutz will participate in a panel discussion titled, "Tips for Staying Out of Legal Trouble: Common Issues in Defamation, Invasion of Privacy and Copyright," as part of the third annual New England First Amendment Institute in Dedham, Mass., September 30. Sig is a member of the firm's Media Law practice and represents the news media in First Amendment matters, defamation and privacy, state and federal freedom of information, and newsgathering. 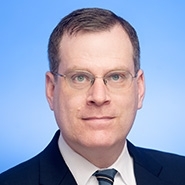 He has also served as counsel in Lanham Act and advertising matters. The three-day conference will focus on the latest investigative and database reporting techniques and public records access skills. For more information, see New England First Amendment Coalition.